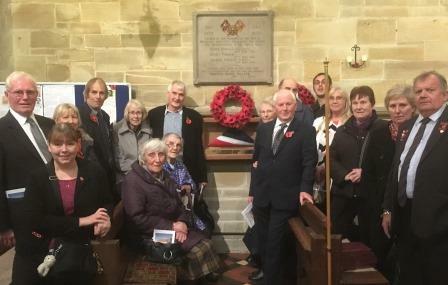 As we in Skerne and Wansford commemorated the Great War Armistice centenary, villagers at Warlencourt-Eaucourt, The Somme, France were also marking the event. Below is the account that the Skerne and Wansford Parish Council has received from France about the Warlencourt-Eaucourt tribute. Above is the Warlencourt British Cemetery pictured at dawn on Remembrance Day 2018. 'It was a very emotional ceremony to commemorate the Armistice of 1918. We began in the village at 6pm with a speech from Lucien,our mayor, on the Armistice 1918, then the reading out of the names of the war dead by the children, followed by the laying of bouquets of flowers on behalf of the Souvenir Français equivalent to the British Legion and on behalf of the village then the playing of the national anthems of Britain and France by a band from Vaulx Vraucourt , a nearby village. Then we all went in two buses to the Warlencourt British Cemetery which was lit up by 65 candles: Henry Parker had one to himself. After the mayor gave a speech about the sacrifice made by the soldiers buried there, flowers and a poppy wreath were placed at the foot of the Great Cross. 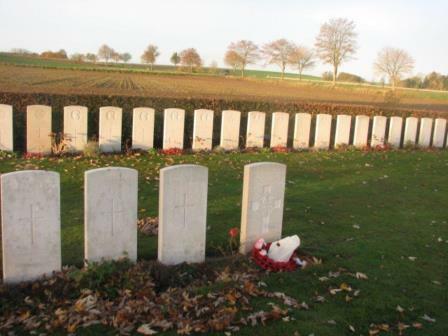 Then after the playing of the French and British National anthems, it was back on the bus and on to the Butte de Warlencourt, where after a speech again by Lucien and readings by the children, more flowers and another poppy wreath were laid . This time three national anthems were played -the German,the French and the British. Then to finish off we had the children release blue ,white and red helium filled balloons to which had been attached messages written by the children and once everybody was down on the flat there was a short fireworks display which really pleased both adults and children. 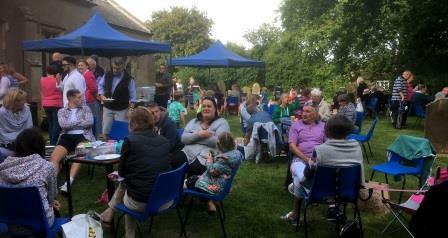 The community barbecue at St Mary's Church was a great success with about 70 people attending. Pictures above and below from the barbecue. 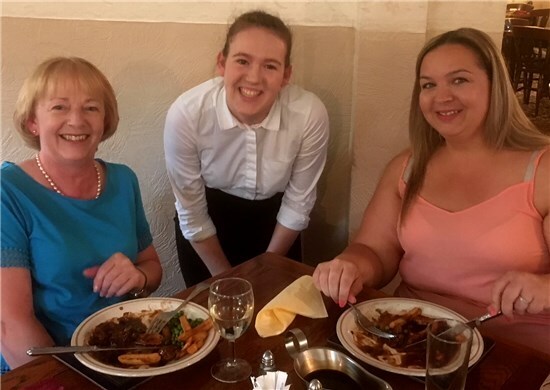 More than 50 people attended the Wansford pie and pea supper at the Trout Inn, which was made possible by the generosity of Trout landlord, Keith Robinson. 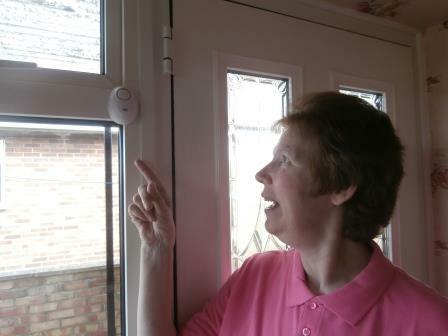 East Riding of Yorkshire Council funds remaining from the Lissett Community Wind Farm Fund for grants for home security equipment for elderly and vulnerable residents in the East Wolds and Coastal ward - which includes Skerne and Wansford. 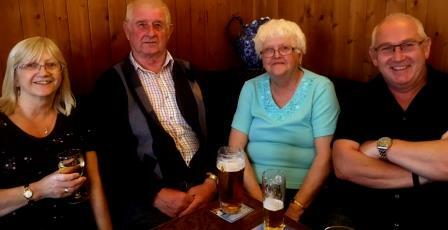 were taken advantage of by a handful of residents including Shirley Botterill, of Wansford, who is pictured above. 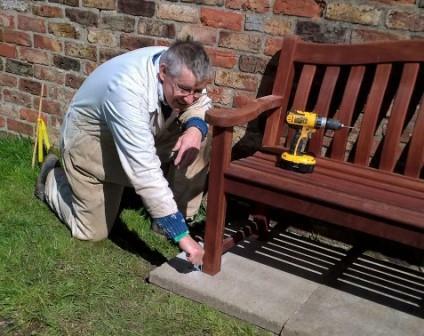 A bench has been installed on the church path at Skerne for the use of villagers, walkers and churchgoers alike. Coun Sue Waites made the purchase – from the Cranswick Garden Centre – on behalf of the Skerne and Wansford Parish Council, and her hus-band, Billy, installed it in April. 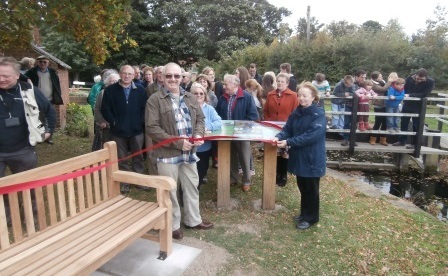 The bench cost £199.17 – in the sale – and was jointly funded by a Driffield Navigation Trust donation of £165, raised at the opening of the Whinhill to Wansford footpath, and ring-fenced funds of £42 remaining from the communities’ Diamond Jubilee celebrations in 2012. 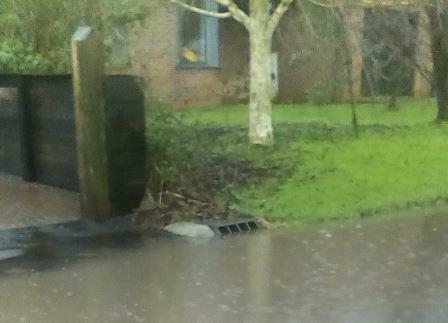 The surplus was put towards net installation costs of £26.70 with the parish council making up the balance. A projector has been given to the Skerne and and Wansford Parish Council by the East Riding of Yorkshire Council local grants funds. In addition the council has purchased a laptop and printer. These items are required to bring the council into line with the requirements of the Localism Act and the Transparency Code. 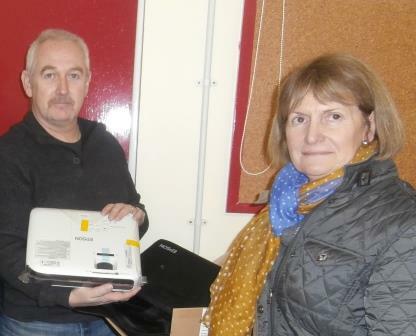 Parish council chairman Ian Lamble and Coun Gill Grassam are pictured with the new Epson projector. The Bishop of Hull the Rt Rev Alison White led the Easter Sunday service at Wansford Church. 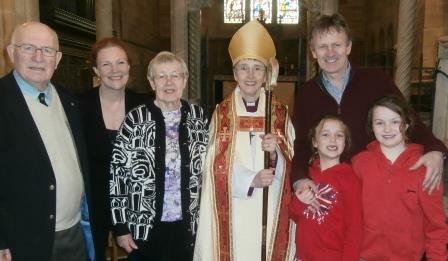 The festival coincided with the diamond wedding family celebrations of Roger and Joyce Parkin, who attended the service along with their family, pictured above. Roads around Skerne were flooded again on Friday March 4 when 15mm of rain fell during the day and the village's drainage system was unable to cope. ERYC officials had a site meeting in the village earlier in the year and indicated that, given the funds, work would start on the drainage system in the coming financial year. The matter is to be discussed at the Skerne and Wansford Parish Council meeting on Tuesday March 15 at Wansford Village Hall, starting immediately after the annual parish meeting at 7.15pm. A total of 143 shoeboxes were collected for the Jacob’s Well Shoebox Appeal at St Mary’s Church, Wansford, on Sunday December 6, when £23.15 in donations was received. Groups donating shoeboxes included Cliff House Nursery, Bridlington, Bishop Burton College foundation studies students and the Bridlington and Wolds Morris Minor Classic Car Club. 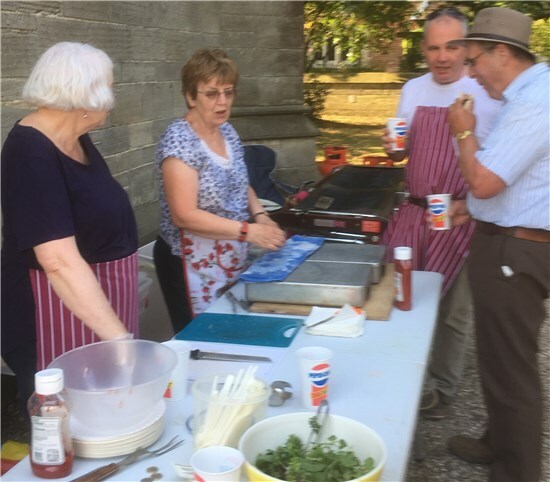 A grand total of £1,768.09 was raised at a dine and dance evening in aid of St Leonard’s Church funds. 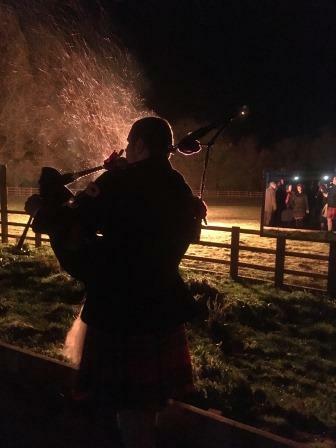 Strange Brew made the music at the event held at Church Farm, Skerne, by permission of Pat and Trish Owen. 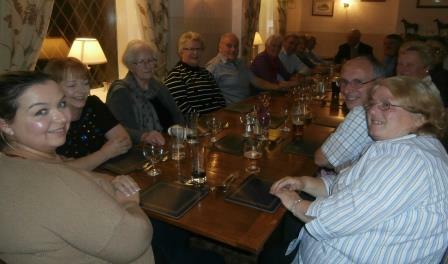 Regulars of the Wansford Village Hall coffee mornings arranged an evening meal at the Trout Inn last month. Altogether 18 people attended the event. Coffee mornings take place each Wednesday between 10 and 11am. Admission is £1 for village hall funds and all are welcome to attend. Picture shows villagers enjoying the evening. Parish council chairman Ian Lamble and vice chairman Jackie Dobson cut the ribbon. 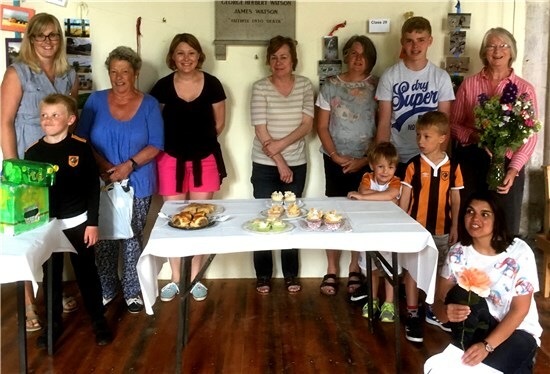 A ceremony to mark the official unveiling of the interpretation board and bench at Wansford Lock was watched by villagers and well-wishers. The interpretation board, which cost £1,700 was funded by grants from the Lissett Community Wind Farm Fund, the Driffield Canal Partnership and the Driffield Navigation Trust. It was installed in the summer and has been attracting much interest from visitors to the village. 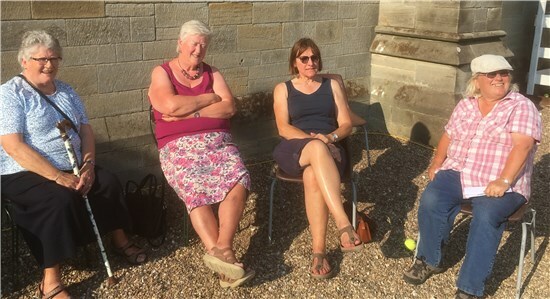 Leftover funds from a Nafferton Feoffees Trust grant to provide pots, planters and flower tubs for Wansford were used to buy the teach bench situated on the lock and looking upstream towards Driffield. The money was spent with the Feoffees' go-ahead. The ceremony took place simultaneously with that to dedicate the planter purchased as a memorial to Bryan Hills. See story below. The Hills family attended the event. 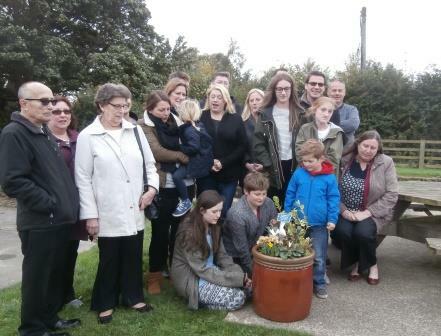 A planter and plaque in memory of Bryan Hills, a long-serving member of the Skerne and Wansford Parish Council, was unveiled in a ceremony at Wansford Lock. Bryan, who died in January, had been a parish councillor since the 1990s and represented the authority on the Driffield Navigation Trust and as a Nafferton School governor. He was a member of the Wansford Village Hall Committee, a whist drive stalwart well-known for his washing up and a keen attendee of Crafty Fingers. A generous man, one of Bryan’s last public acts was to fund the installation of the defibrillators in Skerne and Wansford. Additionally, in 2010, he made a substantial contribution towards the installation cost of the Wansford Lock picnic table. Bryan moved to Wansford Post Office and shop with his wife, Anne, in 1989 when they bought the business after his retirement from the RAF. Bryan took on the role of postmaster, was paper lad in both villages and worked as water bailiff. The post office closed in 2003 and Anne died in 2006. The planter and plaque was paid for by public subscription. 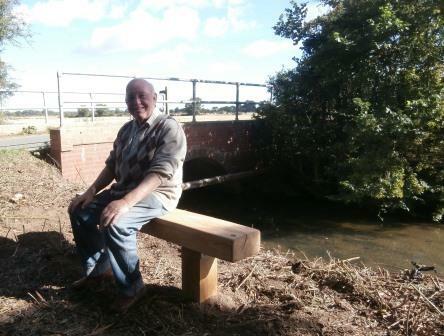 Alwyn Baron was the first person to test out the new bench at Carr Lane, which has been installed by the Skerne and Wansford Parish Council. The bench is situated on the public footpath which links the lane and Chapel Lane, Wansford, and forms part of the Rudston Roam. It is hoped that the bench will provide a pleasant stop-off spot not only for the many villagers who regularly walk Carr Lane but also for the many walkers who use the footpath. The bench was installed by Jim Stockwell and Keith Pick. 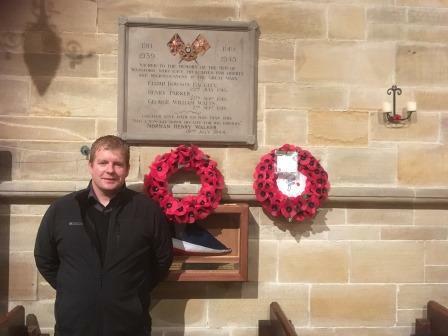 A Heritage Open Weekend at St Mary’s Church, Wansford, raised £425.67 for church funds. 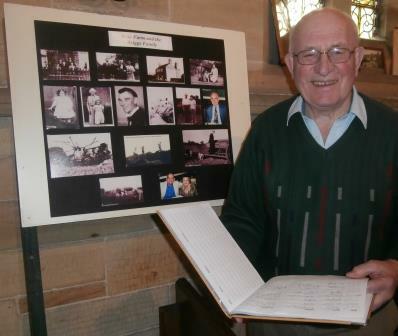 An exhibition of the history of Wansford staged over the four days attracted much interest with visitors from the West Riding and Hull and comments in the visitors’ book such as: ‘Took me back to childhood…’ and ‘Nice to see pictures of family members long gone’. On the Saturday an evening of light music featuring Sarah Atkin, Carla Bradshaw, Steve Burke, Sheila Cadman, Alan Farrow, Lesley Farrow, Paul Newlove, Jessica Pym, Gwyneth Southall and Ian Whitham attracted a good audience. On the Sunday Wansford local historian Sheila Cadman gave a talk on the history of Wansford from the Ice Age to 2015. Jack Gough, of Skerne, examining some Wansford watercolours. 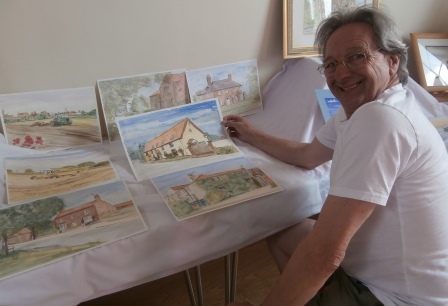 Local talent was in abundance when a first-ever art exhibition took place at Wansford Village Hall on Saturday afternoon. The exhibition was part of an It’s All ‘Appening event which started with a morning table top sale and ended with an evening of musical entertainment from villager Terry Jarvis and friends. The next art exhibition will take place at the village hall on Saturday 5 September, when they day will follow a similar format. It is free to exhibit but a small donation for Wansford Village Hall is asked following any sale. For more information contact Terry Jarvis on 01377 254615. 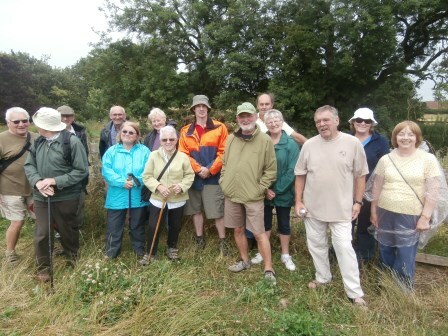 A walk around and a talk about Snakeholme Pastures took place on Monday July 20 led by Jon Traill, Yorkshire Wildlife Trust’s Wolds and Holderness Living Landscapes Manager. Jon explained how the YWT was preserving and creating habitat in both the Skerne wetlands, acquired by the trust in 2012 and the adjoining recently acquired Snakeholme Pastures. 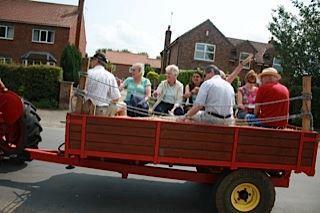 A farm walk and talk plus tractor rides and teas raised £402 for St Leonard's Church, Skerne, On Sunday July 12. Driven in style by Nick and Pete, those attending were able to walk along Mulberry Whin - by kind permission of the Dixon family - and were treated to a talk about the flora and fauna by gillie David Southall. Afterwards teas were served in St Leonard's Church.